Remember to enter the giveaway to win A Time to Love! Four years of war, two years of reconstruction…and still her husband is missing. With the War Between the States over, Leah Williams waits expectedly for her husband’s return home. But that never happens. With no word if he’s alive, dead, or simply abandoned her, she struggles to go on. With the mortgage payments due and people pressuring her to remarry, does she have the strength to hold on? Or should she even wait for a man who might never return to her? With so many unanswered questions, Leah must learn to lean on God implicitly. But will her faith be enough? Will God provide a way? Faith didn't realize that her life was about to change forever. Faith Martin never imagined any other life than the one she was leading on her family's little farm outside of Birchwood, Missouri. But as the year 1855 unfolds, her family makes a life changing decision that forces them all into the vast unknown. With so many unanswered questions, Faith and her family set out on a journey that will tax everyone's strength. After many hardships and adventures, they reach the safety of their new life. It seems like a haven of rest after the many rough and heartrending sorrows that accosted them along the way. Feeling safe and secure, Faith starts to enjoy the rugged life out west. 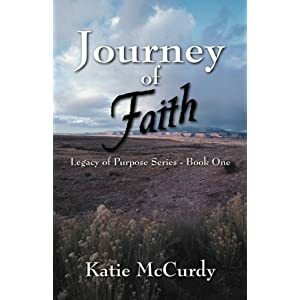 But when Faith and her younger brother find themselves in the hands of brutal outlaws with no hope of deliverance, her will to go on almost fails her. Trying desperately to cling to everything dear to her, Faith struggles to remain true to her life verse, Romans 8:28. "And we know that all things work together for good to them that love God, to them who are the called according to His purpose."